Opening today at the IFC Center in NYC, filmmakers Maureen Gosling & Chris Simon's documentary, "This Ain't No Mouse Music". The film is about the work, the life's mission, the passion of one man, Chris Strachwitz, the founder and owner of Arhoolie Records. All three appear in this segment along with Argot Pictures' Jim Browne, who is distributing the film. This Ain't No Music covers a lesser known period in the history of roots music in this country. Appearances by Bonnie Raitt, Taj Mahal, Richard Thompson and others plus over 30 songs are featured in its soundtrack. 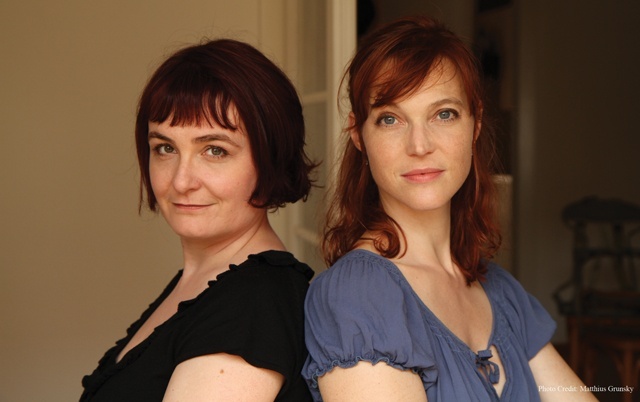 In the second segment, Swiss filmmakers Stéphanie Chuat & Véronique Reymond, discuss their film, a first feature, "Le Petite Chambre (The Little Bedroom)". The story follows the unlikely friendship between Rose a nurse (Florence Loiret Caille), who is grieving over a recent miscarriage and who is hired to take care of an aging widower (Michel Bouquet). It's a very lovely story about loss and healing. It will be having a theatrical engagement at the Cinema Village in NYC beginning Friday, September 26.